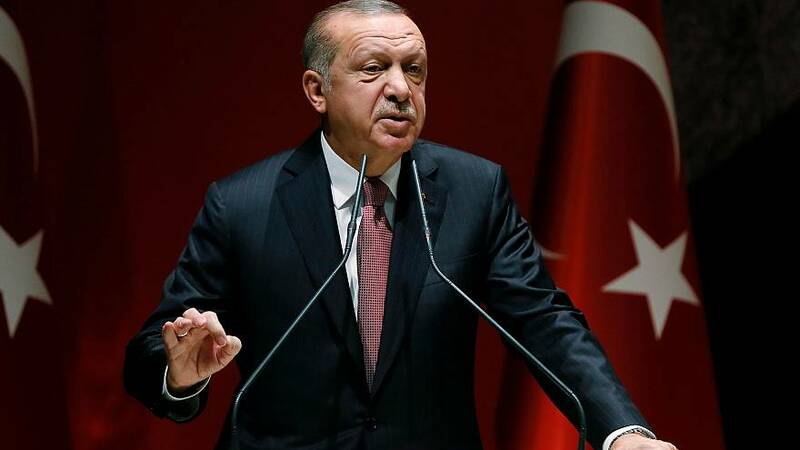 Turkish President Recep Tayyip Erdogan on Friday used the Washington Post's opinion section to ask the government of Saudi Arabia to identify the killer of prominent Saudi journalist Jamal Khashoggi — who had used the same platform to criticize the leadership of his homeland. In the wake of Saudi Arabia's retreat from its initial claim that the journalist died after getting into a fight at the consulate, Erdogan wrote that major questions remain: who ordered the killing; where's his body; who received the journalist's remains? "We know that the perpetrators are among the 18 suspects detained in Saudi Arabia," he wrote. "We also know that those individuals came to carry out their orders: Kill Khashoggi and leave. Finally, we know that the order to kill Khashoggi came from the highest levels of the Saudi government." Answering these questions, one month after Khashoggi's death, is "crucial" to the subsequent investigation and to the well-being of the journalist's family, the president argued. "At the very least, he deserves a proper burial in line with Islamic customs," Erdogan wrote. "We owe it to his family and friends, including his former colleagues at The Post, to give them an opportunity to say their goodbyes and pay their respects to this honorable man." Turkey's chief prosecutor, Irfan Fidan, said in a statement earlier this week that Khashoggi, a U.S. resident, was strangled or suffocated as soon as he entered the Saudi Consulate in Istanbul Oct. 2 to obtain paperwork for his upcoming wedding. The president seemed to reject criticism that Turkey's leaking of information about the killing to journalists reflects ill will toward Saudi Arabia during a period of tumultuous relations. "As we continue to look for answers, I would like to stress that Turkey and Saudi Arabia enjoy friendly relations," he stated. "I do not believe for a second that King Salman [bin Abdulaziz Al Saud], the custodian of the holy mosques, ordered the hit on Khashoggi." He also appeared to chide Turkey's military ally, the United States, writing that this would not have happened on American soil without rapid resolution. "No one should dare to commit such acts on the soil of a NATO ally again," Erdogan wrote. Saudi Crown Prince Mohammed bin Salman went unnamed in Erdogan's writing. U.S. intelligence sources told NBC News in mid-October that it's unlikely he had no connection to Khashoggi's death. Khashoggi's last op-ed for the Post was published posthumously. "Arab governments have been given free rein to continue silencing the media at an increasing rate," he wrote.